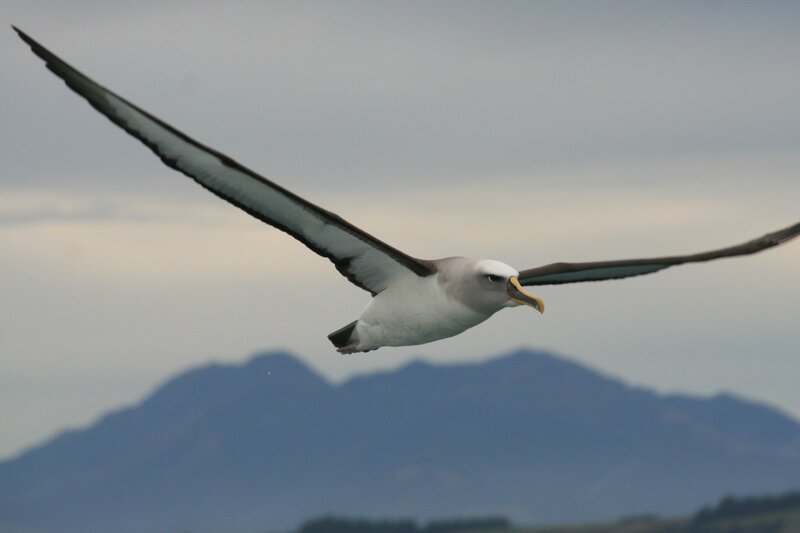 It’s winter down here for sure now, and winter in Kaikoura, on the coast of South Island north of Christchurch, means one thing, albatrosses! 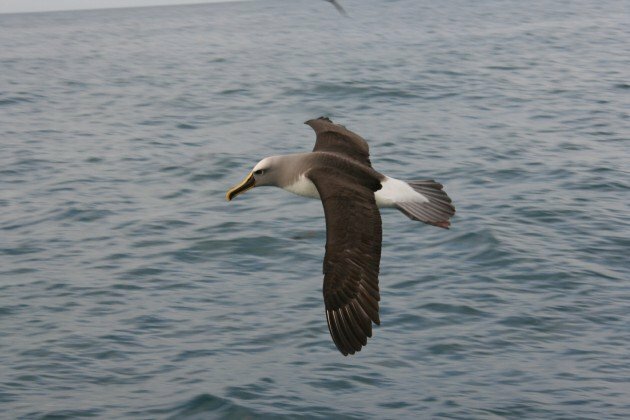 This time a few years ago I attended an ornithological conference in Kaikoura, and the day afterwards we went out to see the many seabirds that come in close to the shore there. 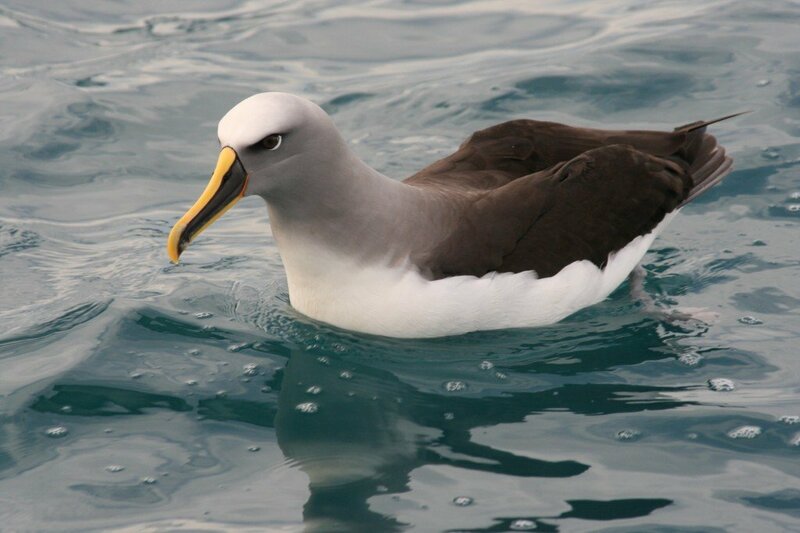 I took a lot of photos but today I’ll just be sharing the ones of the Buller’s Albatross, Thalassarche bulleri, known here as the Buller’s Mollymawk. 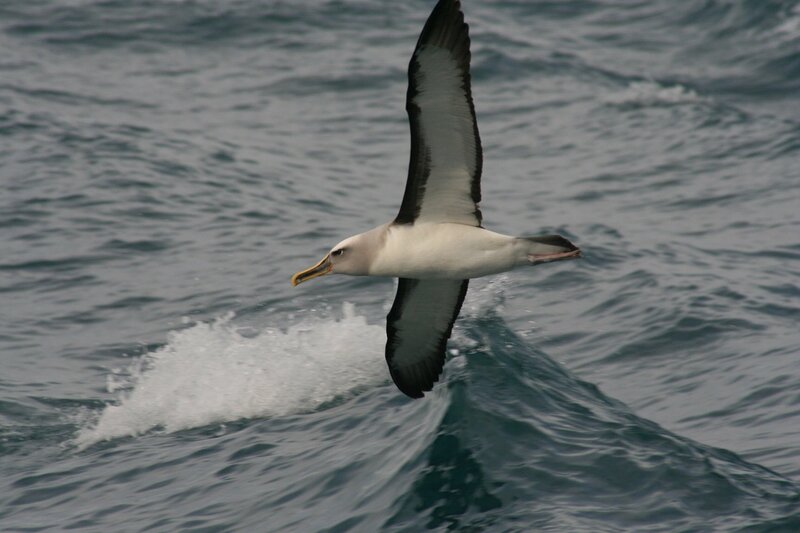 The Buller’s Mollymawk is an endemic breeder to New Zealand, although it ranges widely away from the islands to feed, and regularly goes to South America’s Humboldt Current to feed. 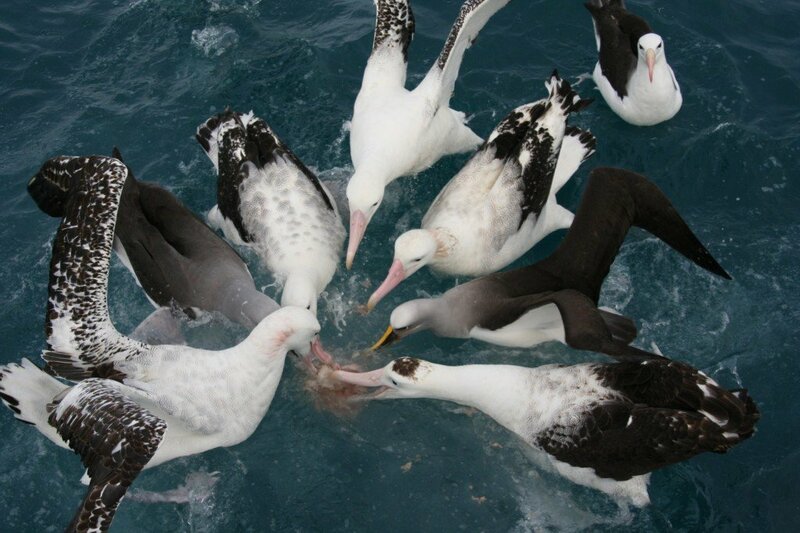 Most breed in the Chatham Islands or in the islands to the south of South Island, but a few breed on the Three Kings Islands at the tip of North Island as well. 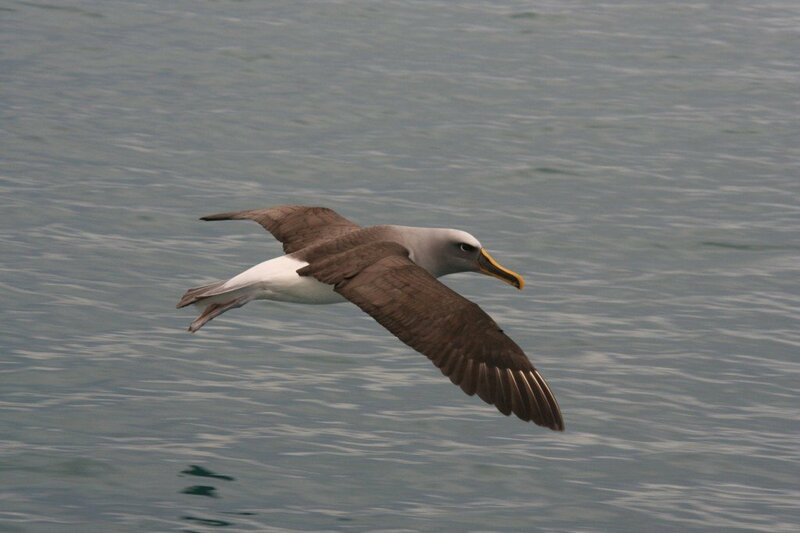 As albies go they seem to be doing better than most species, and are only listed as Near Threatened by the IUCN. I hope you enjoy the photos. Click any one to enbiggen it. Buller’s with a Cape Petrel (Daption capense), a vocal fulmarine petrel that is very common here. For size comparison, a scrum of albies. 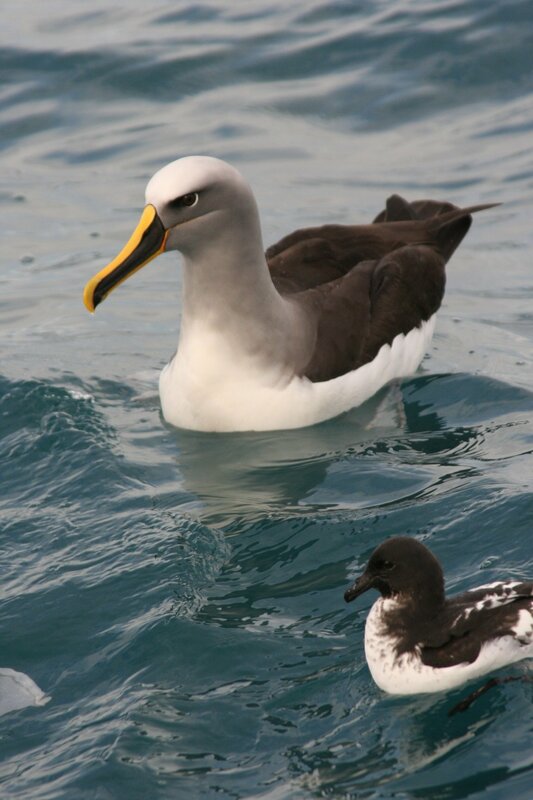 Clockwise from bottom left Antipodean Albatross (Diomedea antipodeansis), Salvin’s Albatross (Thalassarche salvini), Antipodean, Antipodean, Antipodean, Buller’s Albatross, Antipodean, with a Black-browned Albatross (Thalassarche melanophrys) out of the circle. 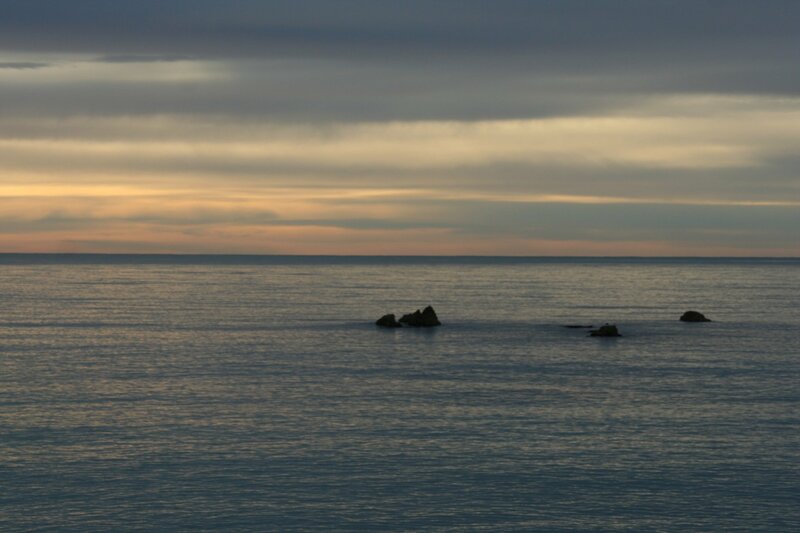 Kaikoura at dawn in winter. Duncan, this post is phenomenal. You really have a gift for portraying pelagic species. I must see a Mollymawk! Awesome pics of a striking looking species! That mixed group of feeding “albies” is pretty cool too! Duncan, I just spent last week filming with Natural History New Zealand and I’m slowly being convinced that I need to spend some serious time in this part of the world! Thanks for the great post and pics. Buller’s are so beautiful! Thanks for these amazing pictures. But regarding the group photo: you sure about the lower right bird being Antipodean? 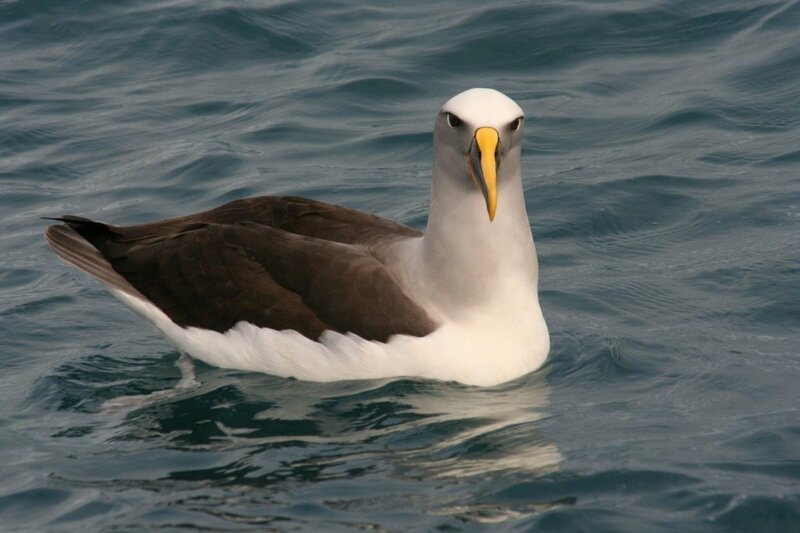 Very interesting looking albatross. Excellent pictures! @Jochen – Um, I think so. I’ll check my notes, I’m no expert on that complex!